As a top DNA testing lab, customers ask, “How soon can you DNA test a baby after birth?” For many expectant parents, a non-invasive prenatal paternity test isn’t the best choice for confirming the father, and they want or need to wait till after the delivery. 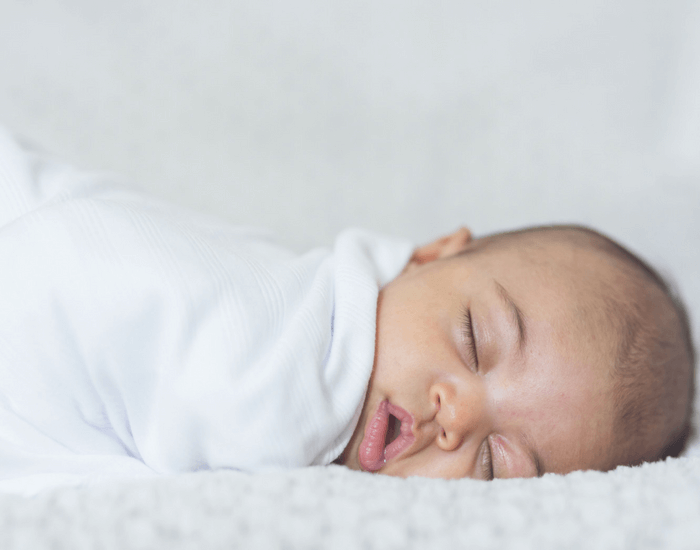 So parents want to find out if they can test the new baby right away…even while still in the hospital, or if they have to wait a few months till the baby’s older and bigger. That’s a great question! Here’s the quick answer as well as a few reasons why it’s best to do the paternity test as soon as possible once the baby’s born. You can DNA test a baby after birth as soon as the baby has been cleaned up by hospital staff. Because a cheek swab is used, it’s important that the baby’s mouth be free from meconium, amniotic fluid, breast milk, or formula when doing the DNA collection. Time limits for contesting paternity: Many states have laws that allow a man to contest paternity for a certain period of time after the baby’s born—often two (2) years, even if they’ve signed the birth certificate or an acknowledgement of paternity. If a man doesn’t exercise this right by doing a legal paternity test with court-admissible results, a court may treat him as the legal father and he’ll be obligated to pay child support. Getting the elephant out of the middle of the room: Although it may be uncomfortable for a relationship to ask for a paternity test, it’s best in the long run to establish whether or not the possible father really is the biological father. It doesn’t do any good to procrastinate and then have to sever a father/child relationship once a bond has been formed. Also, the child deserves to know their medical history and be eligible for their biological father’s benefits, and the only way to determine that relationship for sure (and legally) is through DNA testing. So the answer to “How soon can you DNA test a baby after birth” is: as soon as possible. Asking for the test is never easy, but it’s best for all parties’ hearts to determine the truth without a long, draw-out drama. Do you have questions or comments about how soon you can DNA test a baby after birth? Share in the comments and we’ll answer. PreviousPrevious post:Where Can I Get a Paternity Test?NextNext post:How Much Does a DNA Test Cost? how much will it cost me to DNA test a baby of 2 years old. Hi, Wahab. Are you in the United States? Hi, Mariah. No, you just swab the insides of their cheeks with a painless cheek swab to get a DNA sample. Hi, Evans. Did you mean can test a child’s DNA? As the article mentions, you can do it as soon as the baby’s born.